La Voz Dormida. | | Quiet Lunch. 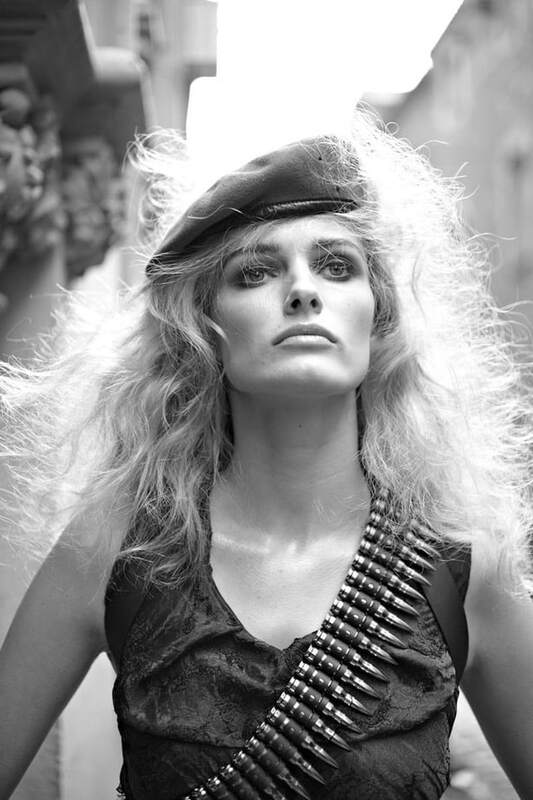 Lithuanian fashion model Edita Vilkeviciute toughens up in the military inspired ‘La Voz Dormida Guerrilla Girl’ for V Spain #16. Vilkeviciute was photographed by Nathaniel Goldberg and styled by Gillian Wilkins in Balenciaga, Lanvin, and Miu Miu.